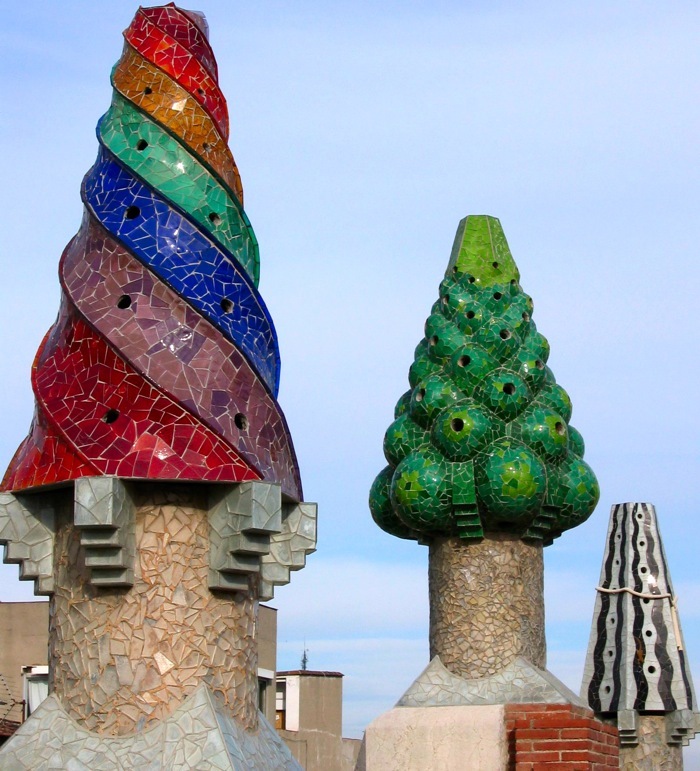 Chimneys in some form or another have been an inextricable part of our lives for hundreds of years. 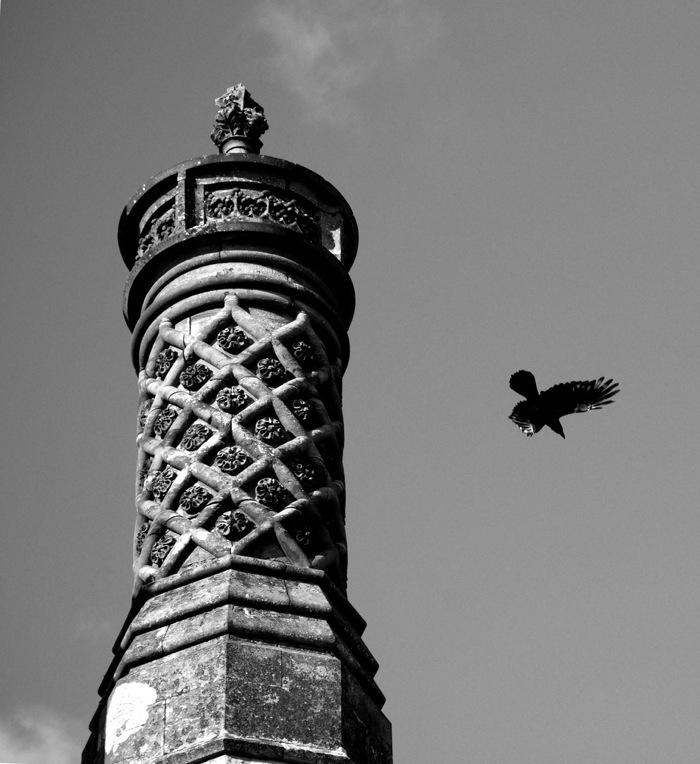 Vital to centuries of domesticity and industry, the chimney has become a ubiquitous sight in many countries around the world. 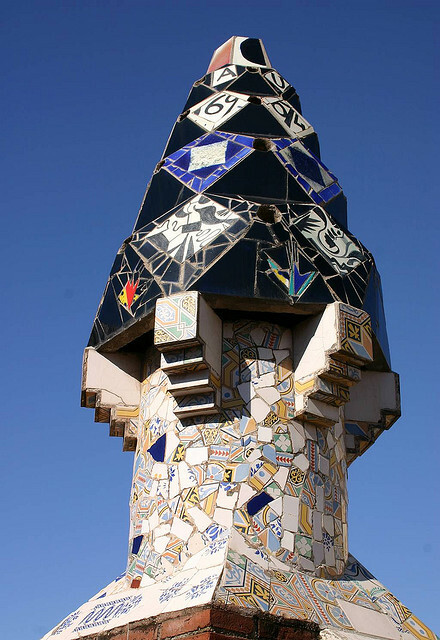 While most chimneys are distinctly utilitarian, being everyday objects that go unnoticed by the majority of onlookers, some have transcended their base functions in both appearance and style, becoming works of art in their own right and proving that even purely practical constructions can still be creative and inspiring. 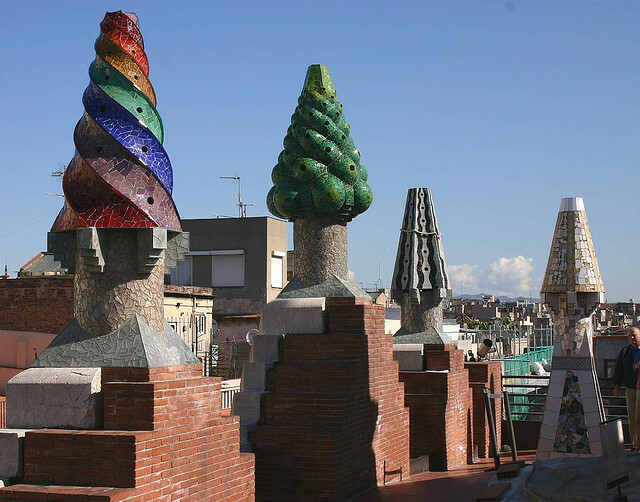 Below is a list of some of the most creative and interesting chimneys to be found today. 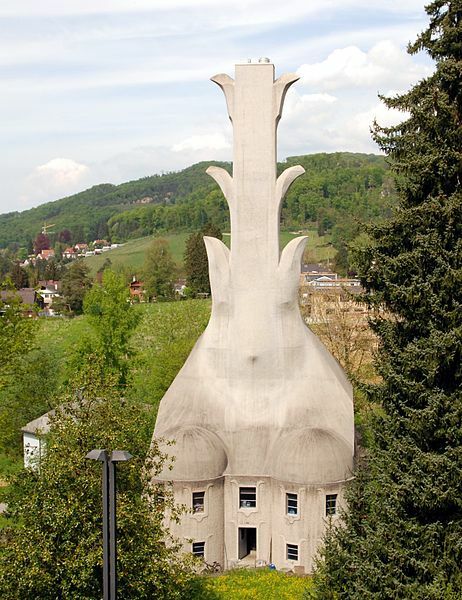 Located in Dornach near the city of Basel in Switzerland, the Goetheanum is the center of the Anthroposophical Society and the seat of the School of Spiritual Science. 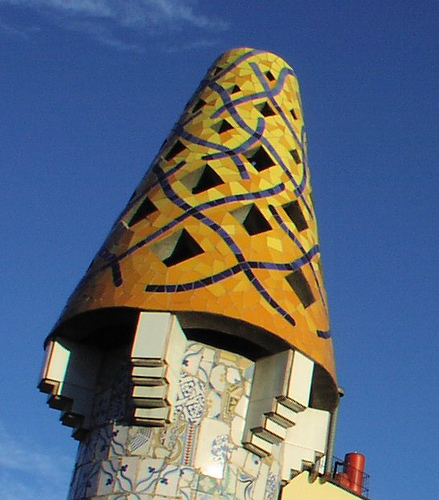 Not only is its use well-known, but it is also famous around the world for its imaginative and unique architecture. Just north of the Goetheanum is the estate’s boiler house, which was built in 1914 and heats all 15 buildings that dot the area. The boiler house’s architecture, and its huge chimney, reflect architect Rudolf Steiner’s organic designs. 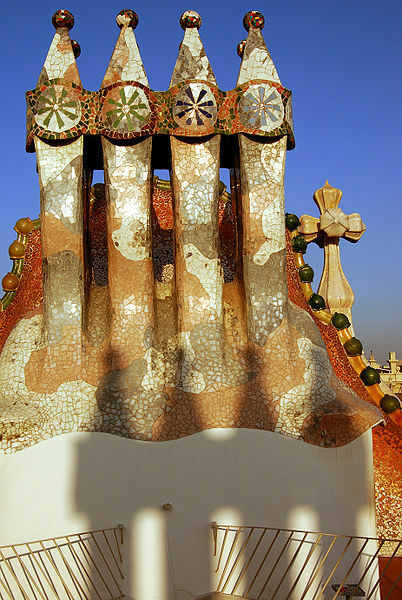 His style has been described as: “A liberation from traditional architectural constraints, especially through the departure from the right-angle as a basis for the building plan.” It is certainly one of the planet’s most creative chimneys. With a height of 106 feet (32.5m) this structure in Malaysia is something of an enigma. Constructed from thousands of red bricks that were imported from England, the chimney was made in the early 1900s, in an architectural style that is strongly redolent of the British design of the age, making it somewhat incongruous amid its Asian surroundings. In fact, the mystery does not end there; the chimney’s primary purpose has not yet been confidently determined. 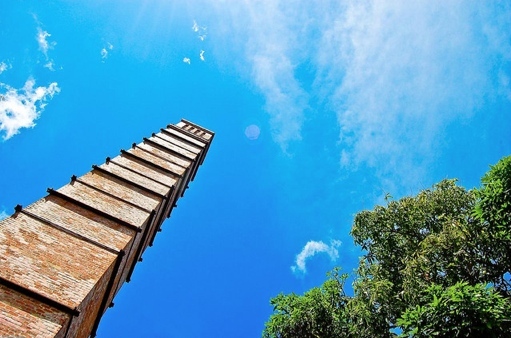 Situated on a rise at Tanjung Kubong, it was initially believed to be a legacy of Labuan’s coal mining industry – perhaps used as a ventilation shaft. 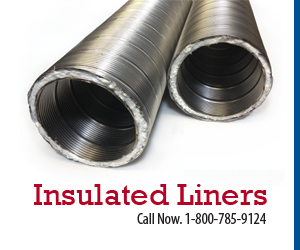 However, no connective tunnel or pipes have been found underneath the chimney. Deepening the mystery is the fact that there are no traces of smoke damage or burning to the bricks, suggesting that it might not even have been used as a chimney. Perhaps, as some say, it is part of an unfinished mansion, a disused lighthouse or even an elaborate bell tower. 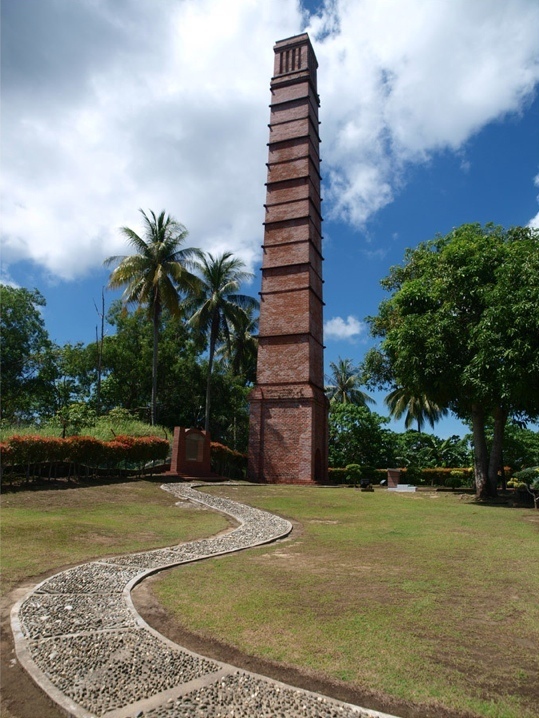 Whatever the truth is, the Labuan Chimney has become an engaging curiosity that charms locals and visitors alike. Brewer and son of the Carlsberg founder J. C. Jacobsen, Carl Jacobsen wanted to combine his love for art with his family business. 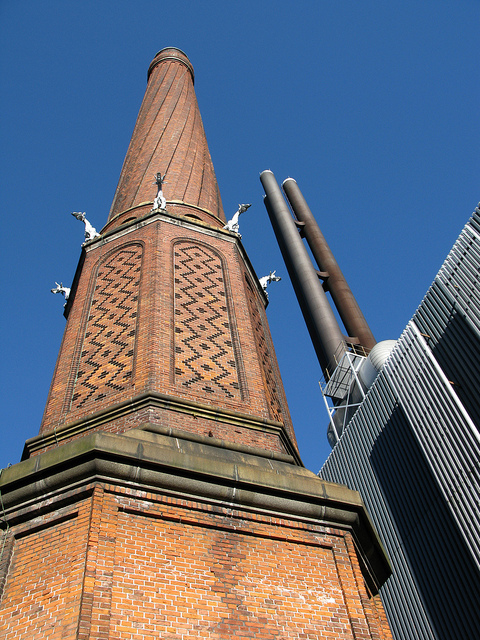 So, when his factory overlooking the Danish capital Copenhagen needed a new chimney, he employed architect Vilhelm Dahlerup and master builder P.S. 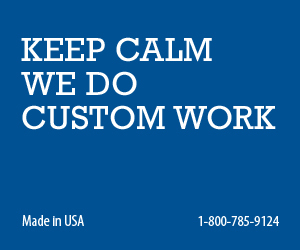 Beckmann to create something more beautiful and inspired than the usual industrial stack. With a winding pattern of grooves reaching to its peak, Egyptian lotus flower motifs and even gargoyles, this 183ft (56 m) tall chimney stands as one of the most interesting of its kind. It is now dormant, having been replaced by a taller and more modern sibling in 1980. 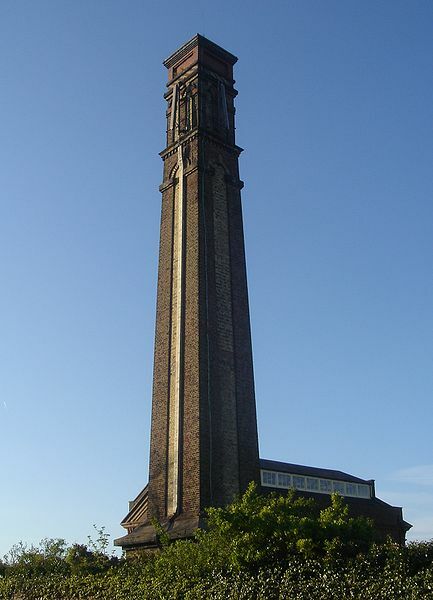 Built in 1866, the chimney at the British Engineerium in Hove, England is now a grade II* listed building. Formerly Goldstone Pumping Station, this mock-campanile construction was part of a system of buildings consisting of a boiler house, engine room and storage cellars for keeping coal. The polychrome brick structure dwarfs its surroundings, reaching to a height of 95 feet (29 m) from its ‘rusticated’ base and tapering plinth. Cornices, arching panels and a connective entablature top the narrowing edifice, making this chimney resemble a fusion of classical and industrial styles. Near the city of Bristol in England stands the majestic Thornbury Castle. Although called a castle, the building, built in 1514, was never fully fortified. However, it still managed to survive centuries of erosion and warfare to remain one England’s most historic homes, where (among others) the English king Henry VIII stayed with Anne Boleyn in 1535. After the ravages of the English Civil War, Thornbury fell into disrepair, only to be saved, and renovated, in 1824 by the Howard family. Thornbury’s skyline is punctuated by many intricately decorative chimneys that were typical of the rich houses of the Tudor period. Molded and carved bricks combine to create symmetrical patterns. Thornbury is now a luxury hotel and venue for weddings. With a secret priest hole, examples of none other than Mary, Queen of Scots’ needlework, beautiful gardens and splendid vistas, Oxburgh Hall is an historic delight. 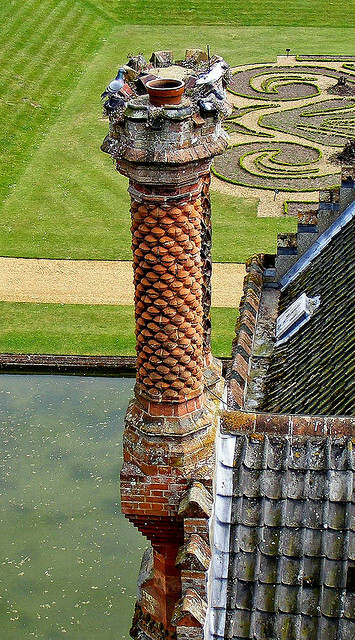 Located in Norfolk, England, and standing within a large square moat, this 15th century mansion’s features don’t stop there, for its rooftops boast a number of fabulous chimneys, each rendered in barley-twisted, molded terracotta and Cosseyware. 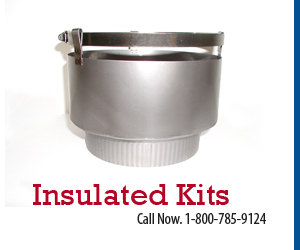 They date from the early 1500s when Sir Henry Bedingfeld added them during renovation work. The hall has featured in several films and television shows. The building is now owned by the Caixa Catalunya Bank and is a fitting venue for its main use as host to exhibitions and concerts. Built between the years 1830 and 1840 for the Talbot family, the striking Margam Castle is situated in Wales, near Port Talbot. Although famous for its reputation as one of the most haunted properties in Britain, this Tudor Gothic Grade I listed mansion possesses more than paranormal entities. 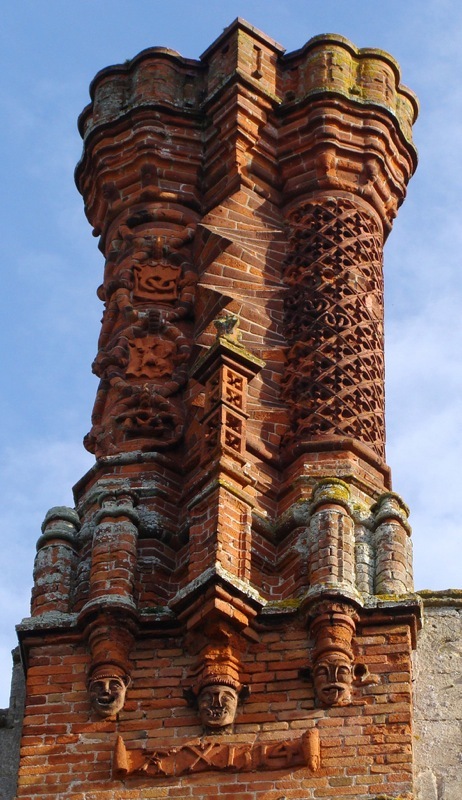 The mansion’s many chimneys were made in Bedfordshire, England specifically for Margam and are all variations of the elaborate Tudor style. 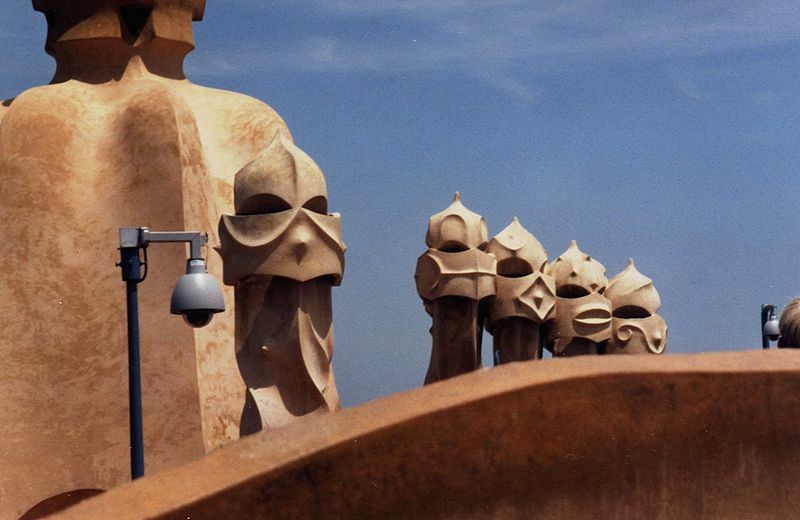 This is another of Gaudi’s masterpieces. 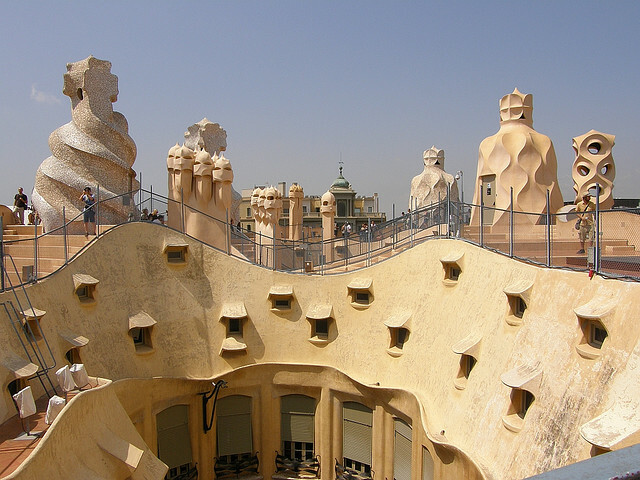 Erected in 1877, the building was remodelled by Gaudi for Josep Batlló, a wealthy aristocrat, as a residence between 1904 and 1906. 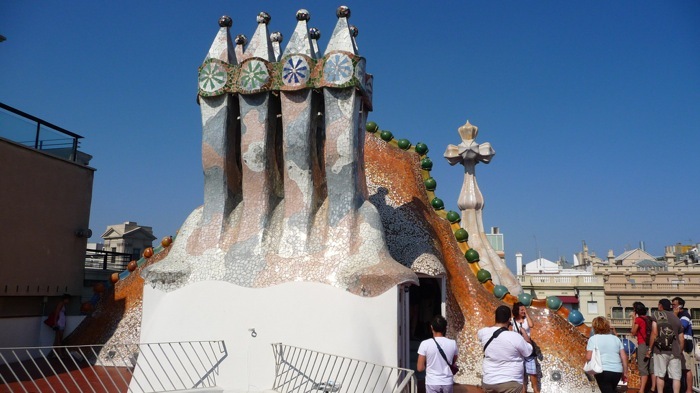 There are no straight edges or sharp corners here: “Even the walls are rounded in undulations and have in essence the feel of the smooth skin of a sea serpent about them,” says one source. Elegantly curving balconies decorate the sandstone façade. 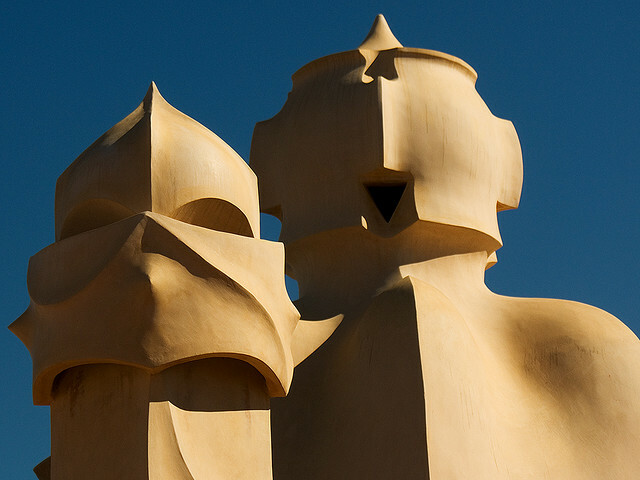 The Casa’s chimneys match the rest of the edifice’s organic design and reflect the shapes and colors found in marine life.